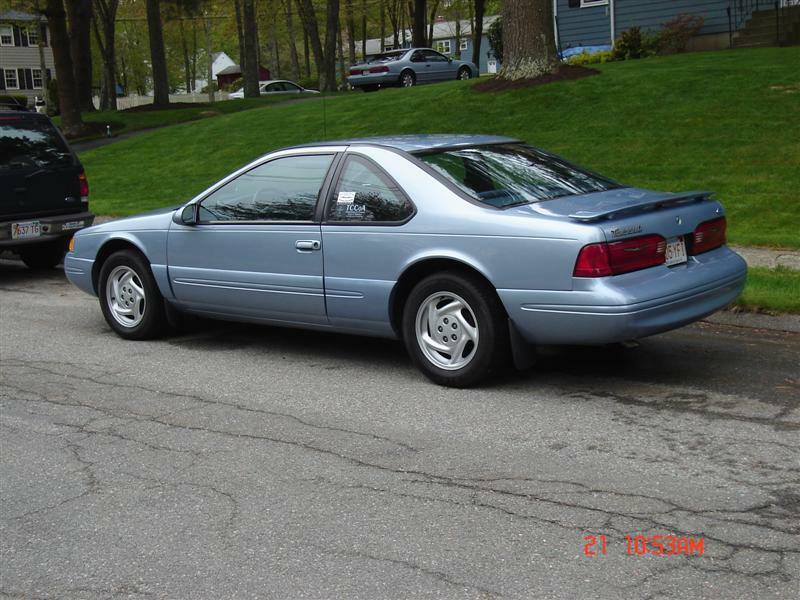 Does anyone know if a 95 cluster would plug into a 97 tbird? No. It's been done but rewiring needs to be taken care of. Do a search, you will be able to find what you're looking for. It's not a 97 Sport, it just looks like one! Mass. TCCoAers, Send me your info! I buy all my Ford parts from 93 lx. Member of the TCCoA Damage Control Team. 97 cluster is superior to that of the prior ones as well. Larger, easier to read gauges. Odometer gears don't break. Yeah, you lose the fake oil pressure gauge, but you can easily install an aftermarket one in an afternoon and have a real gauge. Also, SHO 150mph speedo and 8K tach. 2003 Explorer WAP block with Modular Head Shop "street ported" heads and Stage 2 PI NA cams, 75mm Accufab throttle body, C&L upper intake plenum, Kooks 1.75" primary/3" collector headers, 2.5" full exhaust with mid mount Magnaflow dual in/out muffler, 24lb/hr injectors, 80mm MAF, Tuning from Don @ www.lasotaracing.com, CAI that feeds from fenderwell. Jmod, 3.73:1 TL in Mark VIII carrier, Mark VIII aluminum LCAs, 93 Mark VIII driveshaft, PBR brakes (soon to be Cobras), 18x9 wheels with 35mm offset, 255/40/ZR18 Tires, Front and Rear strut/shock bracing, GR-2 shocks, Eibach 1.5" springs, 1989 SC front and rear sway bars. Care to take a ruler to the 96 vs 97 speedo and tach? I have, the only gauges larger on the Taurus cluster are the fuel/temp ones, speedo is about the same albeit oblonged (slightly wider but also shorter on the 97) and the tach is puny. That 8K SHO tach? It’s neat, with a voodoo 5.2 swap and of course a manual transmission. Also if you source those sho gauges from a 96 you might not want to brag about the odo gears not breaking. The original worm gear material was very brittle and every one I’ve pulled out of a 96 SHO(which is the most common year) needed a rebuild. I’ve used both and wired my 94 for both, so it’s not bias either! Grog6 and Kenz like this. I know, I'm weird. I just like the 97 cluster better. I like the 97 better too. It has a light for when the cruise control is engaged. I've never noticed, that's pretty cool. The 97 cluster in a way looks more modern. But now a days they both obviously look dated. When I was searching for my first MN12, I looked specifically for a 96 due to the newer body design, and the earlier (original) gauge cluster. Both the clusters are nice in their own way, but IMO the original cluster is much more driver oriented and informative. BTW, this is a very old mod; the hard part is getting faces for the mod. This also shows how to disassemble the speedo to change the bad gears out. The blue one on page 9 is the one you'll find in pieces. I totally agree, 97 looks more modern, but by the 2001 definition of modern That was both my rationale for doing the unheard of converting of a 94 to it(I still believe I’m the first on that one!) and ultimately converting back to the original. Do I want dated and designed for the MN12 from the start? Or dated and originally designed for the ugliest Taurus? SHO gauges are (were? )way easier to find, but once I acquired the SC speedo that 97 cluster was off like a prom dress. The CC light is in the bottom right of the cluster, IIRC.